Juliana Rotich, Social Entrepreneur of the Year in 2011, reveals how everyone can leverage the power and impact of technological tools, and how to achieve progress. Juliana Rotich, elected Social Entrepreneur of the Year in 2011 by the World Economic Forum, developed a major tool using big data to save lives in times of crisis. Here´s her story and her vision for the world. When she experienced the political, economic and humanitarian crisis caused by the 2007 Kenyan presidential election, she co-created a technology software, Ushahidi, which allowed citizens to map in real-time the reports of violence erupting in Kenya during that turbulent year. 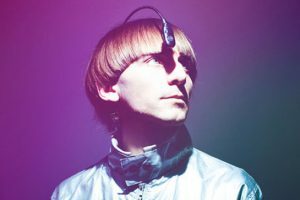 That software is an open-source platform, meaning that anyone can improve it and adapt it to respond to specific needs. 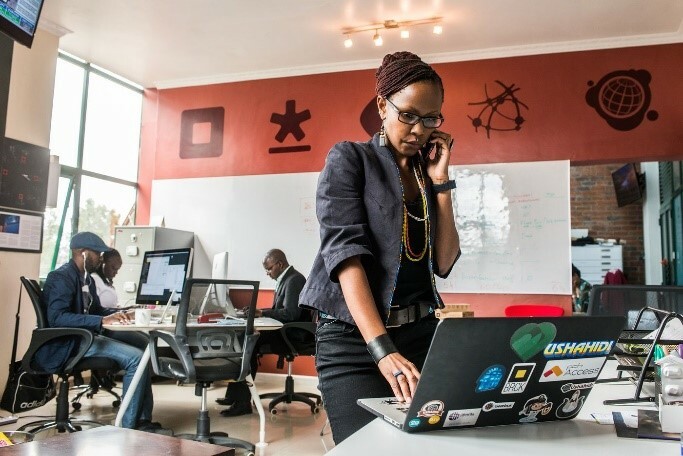 Therefore, Ushahidi is “much more than a piece of software: it is a global movement, a global community” as she defined it at the FLI Conference 2015, which main topic was “Achieving True Progress”. It surprised her how fast her non-profit tech company spread over the world, evolving from crisis maps to election maps to corruption maps, and even environmental monitoring… Ushahidi has been used after Japan´s earthquake in 2011 to map hazard zones, goods supplies and more, but also during the US presidential election of 2012 to report various voter issues and suppressions, or after the Oil spill of Deepwater Horizon in 2010 to document its disastrous impact on the environment and local population. Today, Ushahidi is truly a global movement: it reached 20 million people and got tested in 150 countries. She notes that technology is merely a tool- progress comes with the people that use it for the better. Indeed, technology on its own has no impact, there need to be some kind of force levering the power of technology. People should be able to take things into their own hands. This can be enabled by specific eco-systems like the one in Nairobi she helped establish. 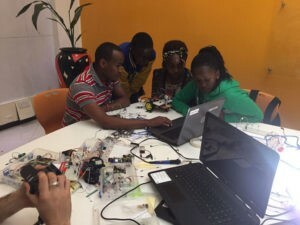 There, a major tech hub established with different entities sharing one building: a co-working space/incubator which Juliana Rotich co-founded, two incubators (NaiLab & mLab), a prototyping space, and more. That space is full of entrepreneurial minds and inspiring initiatives, and encourages every citizen to take part in that dynamic eco-system. This Kenyan micro-cosmos also includes Akirachix, a coding training program specifically designed for women. Akirachix is one of many other hands-on approaches to empower people: it trains women on how to code, enabling them to develop a skill that is increasingly valued in the job market. 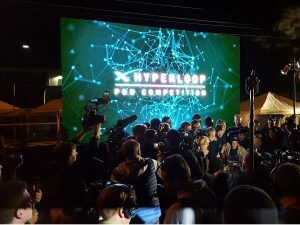 Those coding training programs are all the more interesting as they are extremely scalable: with only computers and simple tutorials available by the thousands on the internet, anyone can learn how to code. Juliana Rotich is truly a thought leader, by inspiring others by her ability of doing things in new ways and leveraging the power of technology. As founder of the open-source software Ushahidi and the incubator iHub (which spawned 170 startups and created over 1,300 new jobs in only 6 years), amongst others, she has already accomplished a lot. And she continues to lead the way for a future in which people are truly empowered. Watch the whole speech of Juliana Rotich at the Future of Leadership Conference 2015 here! 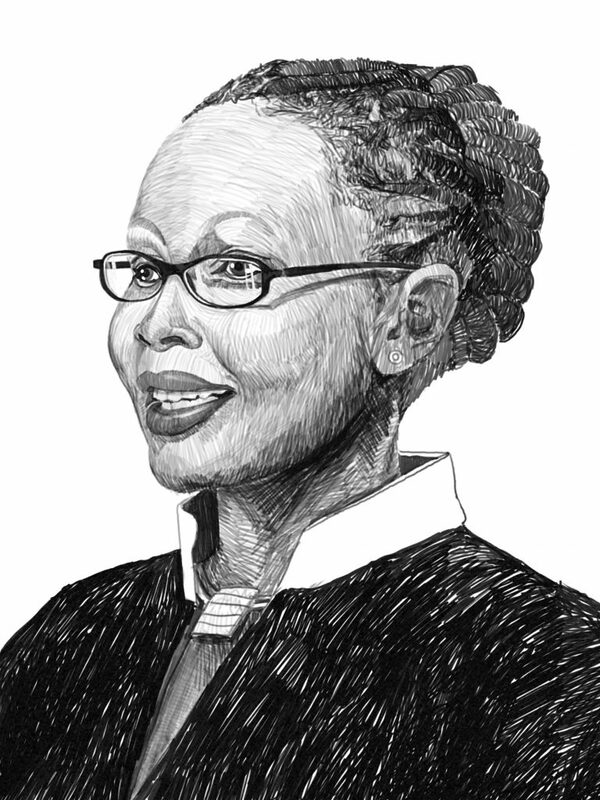 Juliana Rotich is Founder and Executive Director of Ushahidi, a social movement for open source software from Kenya, and was voted Social Entrepreneur of the Year in 2011 by the World Economic Forum. She is also a TED Senior Fellow and serves on the World Economic Forum’s Global Agenda Council on Information Communications Technology. Last but not least, Rotich is a founder of iHub, a Nairobi tech space which is part incubator part co-working space, and co-founded Mobisoko, a mobile marketplace.